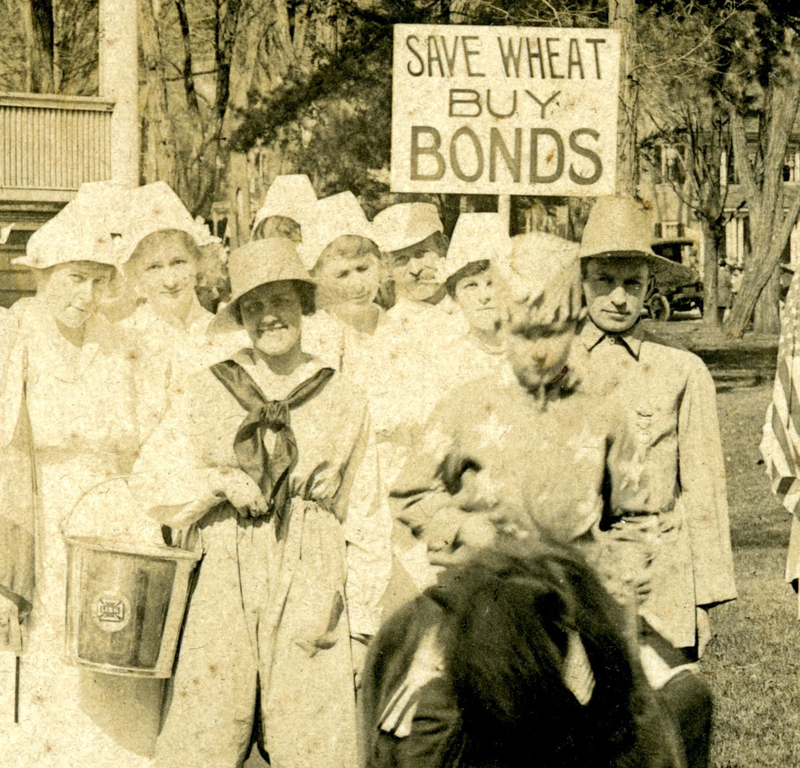 War Loan bond rallies came in all forms in WWI and this is a very, very Vermont specific version. 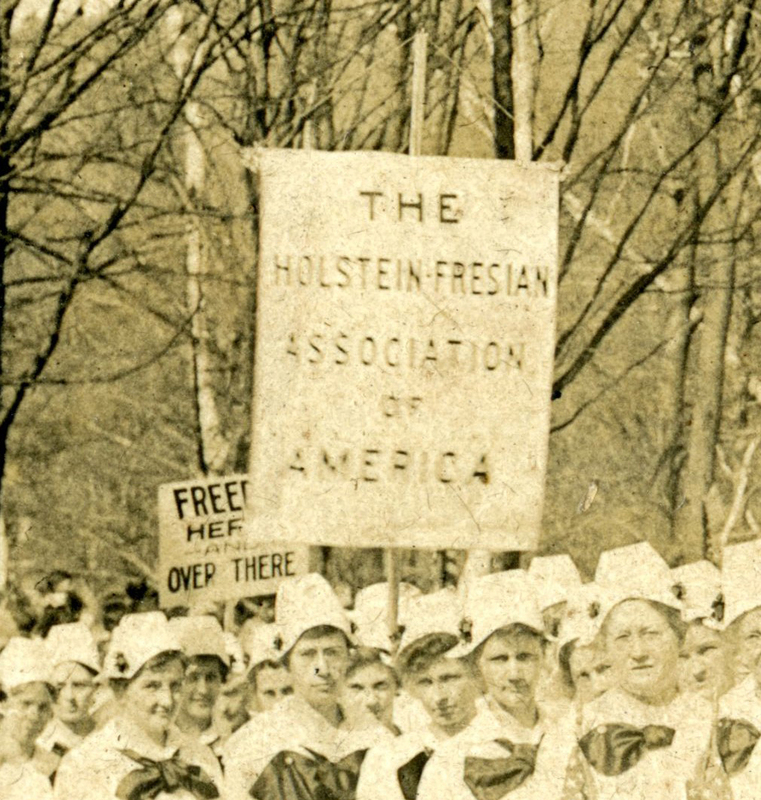 The Holstein-Friesian (note spelling difference) is an active group from Brattleboro, VT interested in the breeding, milking and raising of Holstein cattle in the United States. Originally imported from the Netherlands in the second half of the 19th century, the Holstein breed is one of the most popular milking breeds today. Especially in Vermont, the breed is popularly depicted as the the “classic cow” being prominently white with black spots. 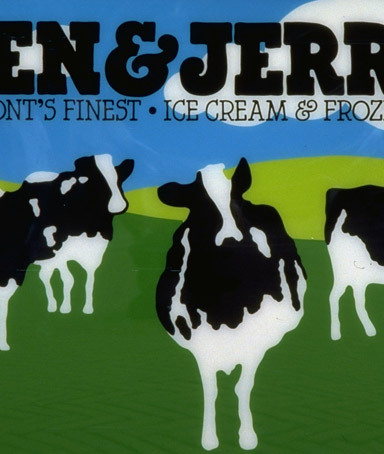 One of the most famous expressions of Vermont’s love of the Holstein can be seen on the ice cream container of the famous Ben and Jerry’s Ice Cream, a classic Vermont-based company that started in Burlington, VT. Vermont artist Woody Jackson designed the internationally recognizable logo that can be scooped in over 30 countries worldwide. Anyway, back to the photo! 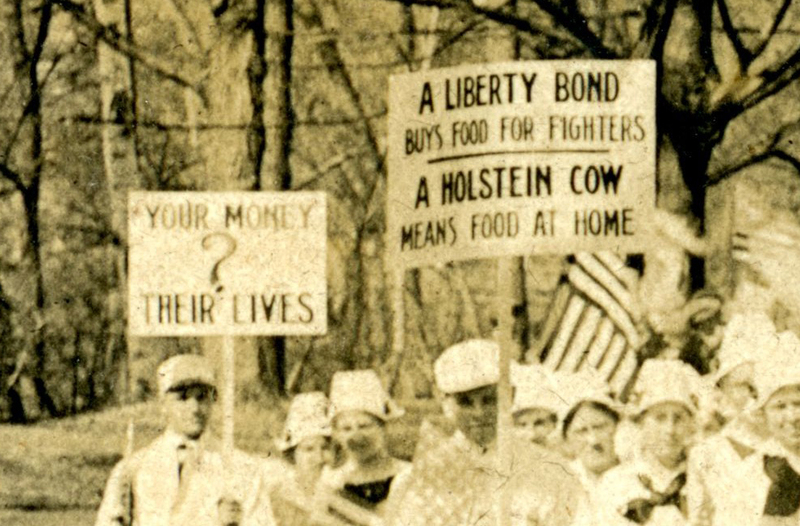 The shot captures the Holstein-Fresian (spelled differently in 1918?) 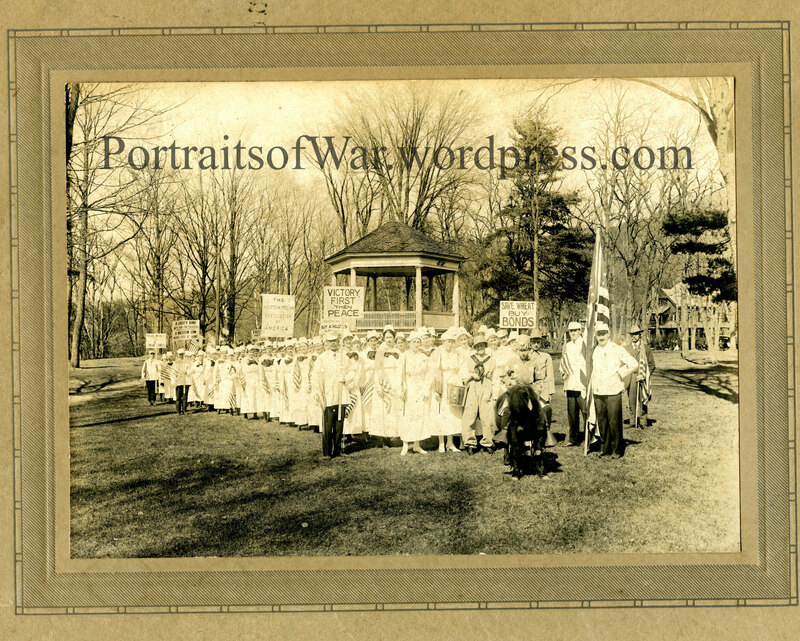 rallying for war bond support on the Brattleboro, VT common green in 1917 or 1918. 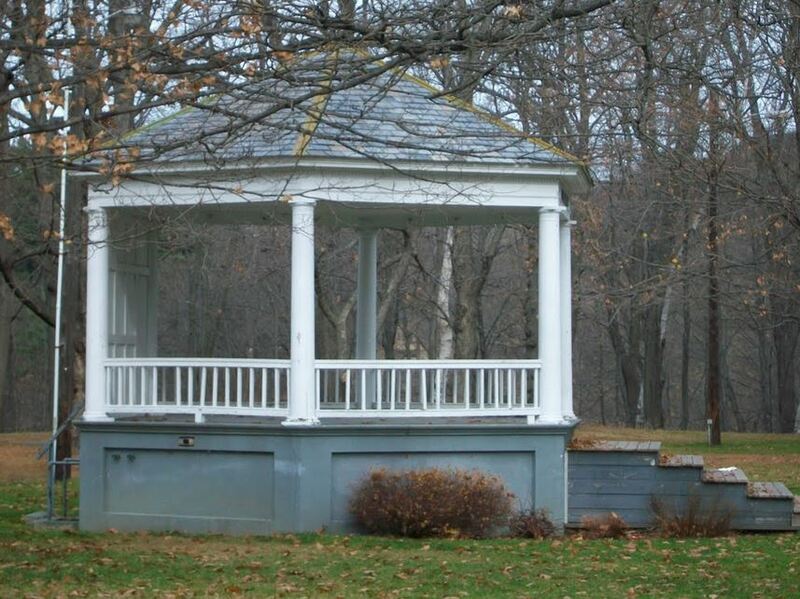 I’ve tracked down a web photo of the gazebo today but plan to snap a shot later this summer. Please see below and refer to this site for the source. 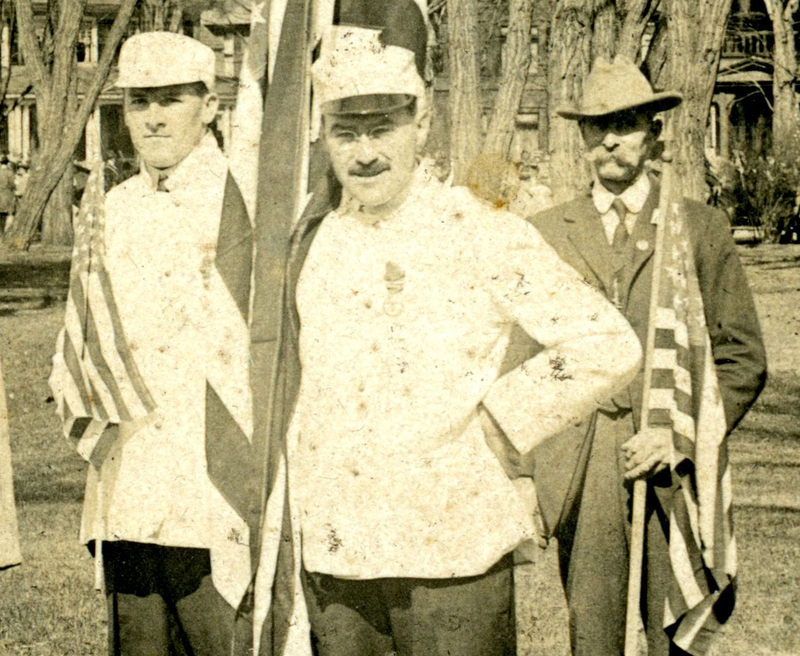 Details regarding this event are hard to track down, but I’m hot on the trail. Please check back for further details. 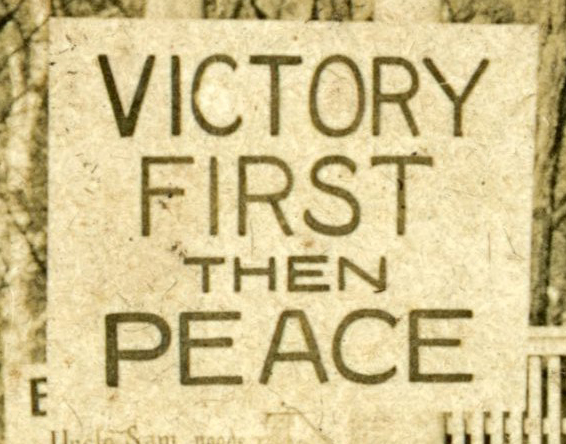 I’m including some close up crops of the initial image to show some of the details. 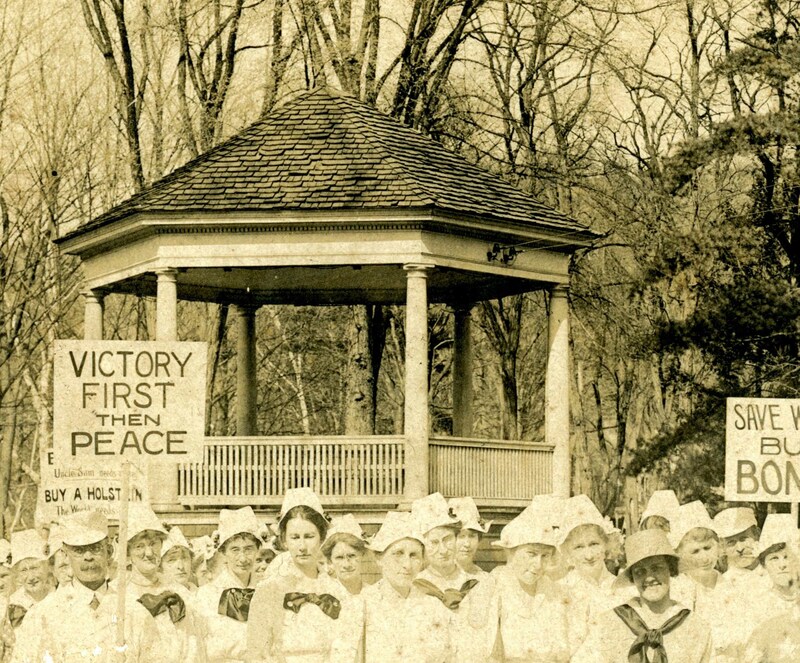 Note the posters, Uncle Sam riding a donkey, US Navy donation bucket, Civil War veteran, plus much more great period detail.